Last week, I promised to show you how I was able to embed a Newsletter Style Calendar and update into my blog post. It’s easier than you can imagine. First, go to MailChimp.com and setup your FREE account. There is a 2000 subscriber limit and a maximum of 12,000 emails you can email each month, but for the once a month mailer like myself, it works awesome. It’s perfect for a monthly newsletter or update to your clients. Once you have an account on Mailchimp, you can create and setup a customized newsletter with a variety of links, images, RSS feeds, video, audio files, and HTML formatted content. It’s really straight forward and quite simple to. Once you have the design and layout that you like, you can save it as a template to be used for future campaigns and mailings. All the template layouts on Mailchimp are already included which makes the design process and setup very fast. 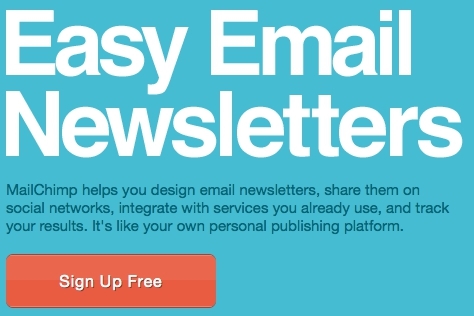 Creating a good Newsletter is like writing a great blog post. Your content will be the most important part so take your time and be sure to include the best of the best of the best for that month. Here comes the best part. You don’t have to mail it out to anyone if you don’t want, but since Mailchimp does a great job and it is what they do best, you really should take advantage of it. Once your mailer is ready to go, simply copy and paste the content of your final into a new blog post and save. That’s it! You can use the WYSIWYG format, or you can copy the entire newsletter in HTML, and paste it into the HTML tab on your Blog post. Mailchimp is one of the few sites I have found that has the least compatibility issues with the HTML format on ActiveRain. If you are not comfortable working in HTML, you may want to stick with creating everything in the WYSIWYG format. The Newsletter Update I created and posted was all done in the WYSIWYG tab. One more thing…. I think you’ll really like the tracking, reports, and analytics that Mailchimp offers on all your mailings. 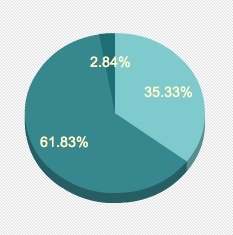 Ever wonder who and when people actually open your email? Wouldn’t it be nice to know what they read, what they clicked on, and what they had no interest at all in? I know, the truth hurts, but it’s good to see and know what works and what isn’t. The reporting and analytics on Mailchimp are very useful and will help you deliver content that your subscribers want and find valuable. Bounce rates, unopened, opens, dates and times etc. are all included. Lastly is the Social Media and networking tools and options. Once your Mailchimp campaign is created and saved, you can email it out, post it here on your AR Blog or WordPress site, then use a specifically designated URL link to share with all your fans and friends across the social network sphere. Here’s an example of a designated URL link that comes with your newsletter or mailing campaign. This Is The Coolest Part Of It All! It’s your created piece on a permanent URL and web address. Your very own archive of creations. Very Cool! 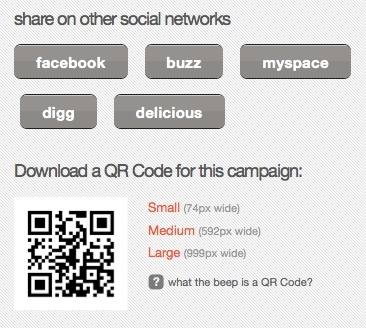 Mailchimp will also create a custom QR Code automatically for those of you into that sort of thing. There is much more you can do with Mailchimp and for the price, I don’t think you’ll find a better site or tool out there to achieve all these great features. They even have an RSS multi-feed chomper that will take multiple RSS feeds from various sites of your choice and create a custom compilation of content for you campaign. You won’t find that on many FREE sites. I’ll be talking about “Building Community” from 11:10am – 11:20am, and I’d love to see you there.